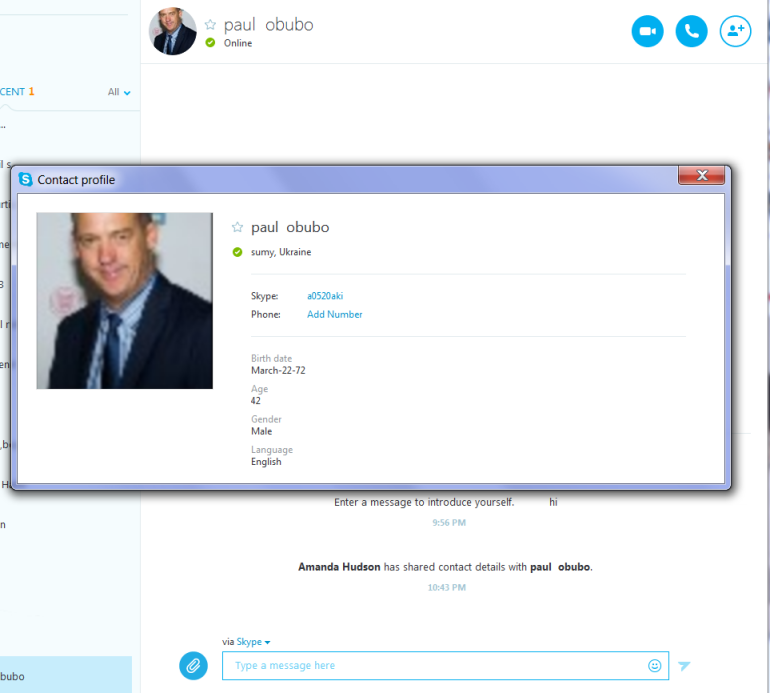 His Skype profile had a picture of the actor Anthony Edwards. I like to test the honesty of people on Skype (it’s what I do for fun and kicks), so when I asked him if that picture was his own, his response told me all I needed to know. I managed to grab a screenshot of that fake profile, as well as the conversation that followed, before he blocked me for figuring him out. It’s really not rocket science, buddy.